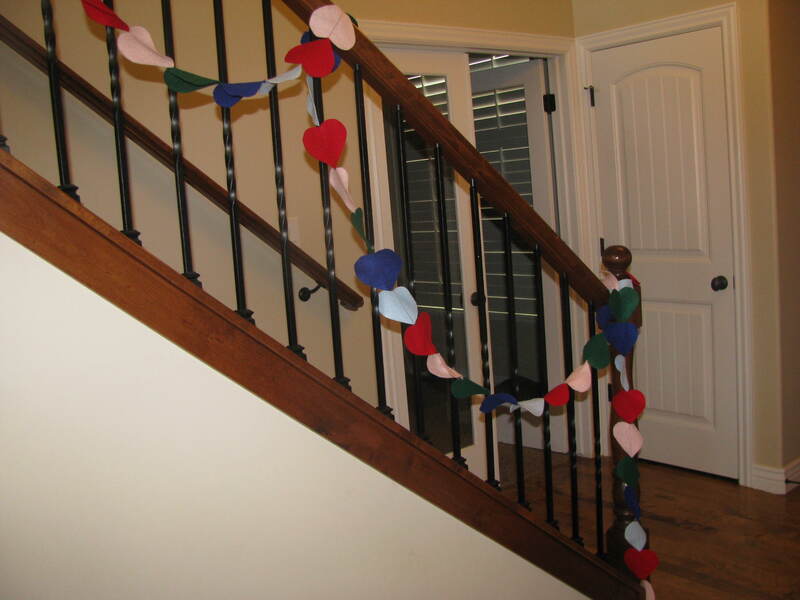 This is the first year I attempted to decorate for Valentines day. 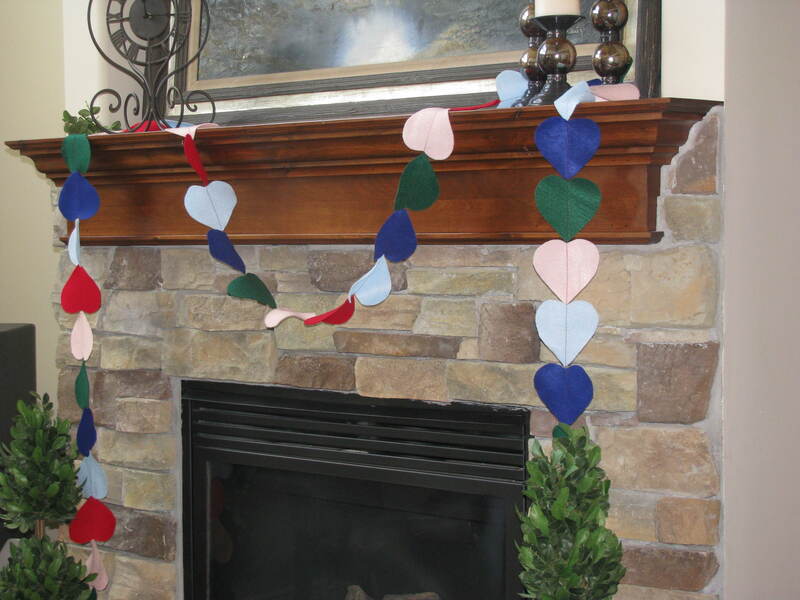 I used this idea to make cute garland for the stairs and mantle. I also tried to make these darling topiaries. But the 3 year old found the candy hearts to tempting and insisted on picking off the hearts and eating them, hot glue and all. This is the first year I don't have small Valentines for my family. I tried to buy some last night. But the 3 year old again foiled my plans. Normally Devin is a happy shopper. But Devin would rather have been eating hot glue than shopping at Target last night. Maybe it's because Valentines Day is on Sunday this year, or because I don't have gifts for my family, but it really doesn't feel like Love Day. But my stairs look cute, no? Either that or you had to take the whole family on an overnight trip for Valentine's Day!